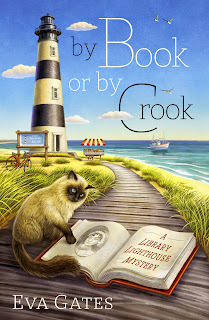 By Josie O’Malley, owner of Josie’s Cozy Bakery in Nags Head, North Carolina as found in Eva’s Gates Lighthouse Library Mystery series. It’s summer and you’re on vacation! You’re looking for sun and sand, a beach, fishing if that’s your thing, camping if you want to rough it, nice hotels if you don’t, and maybe the entire family is coming so you need a big beach house. Come on down. Here in the Outer Banks we have everything you need for the perfect summer beach vacation, including miles and miles (and more miles) of perfect beaches. We have marvellous historic sites such as the Wright Brothers National Memorial, the Elizabethan Gardens, and the Fort Raleigh National Historic Site, and so much natural beauty in the sea views and the Cape Hatteras National Seashore. 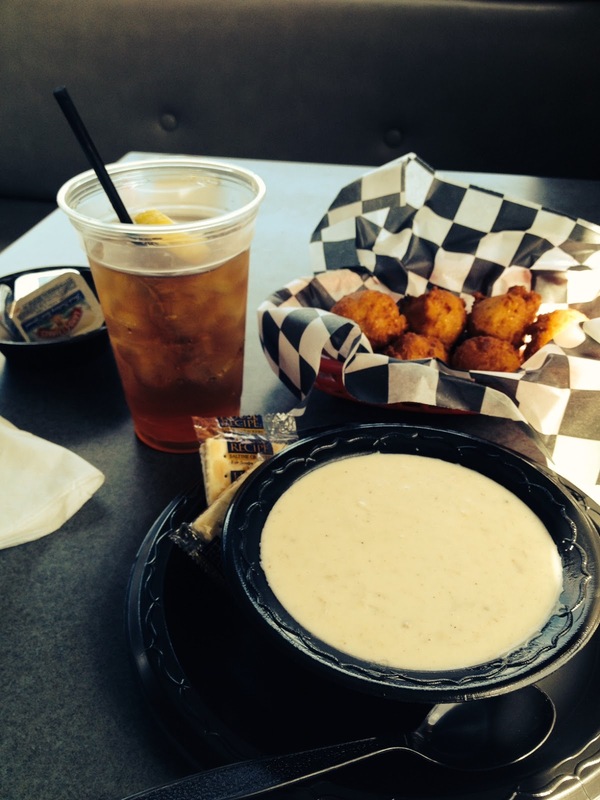 Our food is incomparable. Real North Carolina cooking, barbecue, hush puppies, fried green tomatoes, and the best sea food anywhere. Jake’s Seafood Bar offers the very best in North Carolina cooking on an outdoor patio overlooking the calm waters of Roanoke Sound. Specializes in shrimp and grits as only Jake can make them. If you’re looking for something lighter to grab for breakfast on the way to the beach, or a relaxing lunch, why not try Josie’s Cozy Bakery. The best pecan tarts in the south! If you like historic lighthouses, you’ll love the Outer Banks. Visitors are always welcome to stop by at the library in the Bodie Island Lighthouse. This summer they have a very special exhibit of a complete set of Jane Austen first editions! Yes, it’s complete. The ones that were… uh… temporarily misplaced are back. Josie O’Malley bakes at Josie’s Cozy Bakery. Occasionally, she helps her cousin, Lucy Richardson solve crimes. The Outer Banks sound amazing! The Outer Banks are amazing. I loved visiting. I am anxiously waiting on Booked for Trouble...loved By Book or By Crook. My parents loved visiting the Outer Banks. I've never been but have the area on my travel bucket list. I've loved getting to know the area. 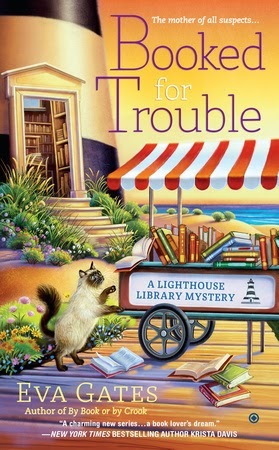 Looking forward to Booked for Trouble! Thanks, Elaine and Chris! I'm excited about this book. More next month. I enjoyed the first book in this series and look forward to reading the second one when it come out in September. I have it on preorder.